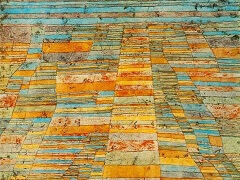 In his later period, Klee mainly worked on large-sized pictures. They dealt with ambivalent themes, expressing his personal fate, the political situation and his joke. 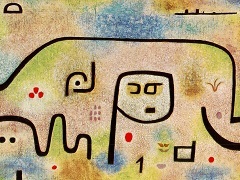 Bitterness and sorrow are not rare in much of his works during this time. After The Floods, 1936 is one of the examples. 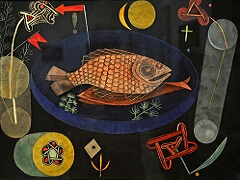 Multiple signs are deployed here: triangles, rectangles, circles, points, open and closed forms, and fragmented forms that are not easily circumscribed. All these elements have to be read as imagery. If we allow our imagination to play with this mass of black marks, they suddenly come alive, and a different world is offered to our eyes. We have reached the point at which the iconography has become decipherable. 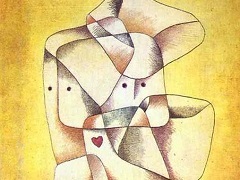 Like children's drawings, Klee's work has something fabulous about it. But there is nothing childish about them in that they have been precisely constructed according to very specific laws. The brown strip on the bottom of the quay, the stretch of water in the center, the strip of blue horizon above, and the big uneven black line that joins these two strips, all have their purpose. We can interpret the marks as we wish. Some people have seen a "great weeping willow on top of a hill," others, a pyramid and chapels! 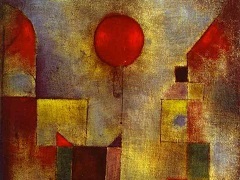 However, Klee kept to what he intended, and the spatial play emerges from this. The genesis of the picture can be seen. 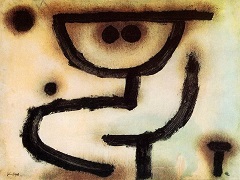 He painted a form and then looked for something to which it could relate. 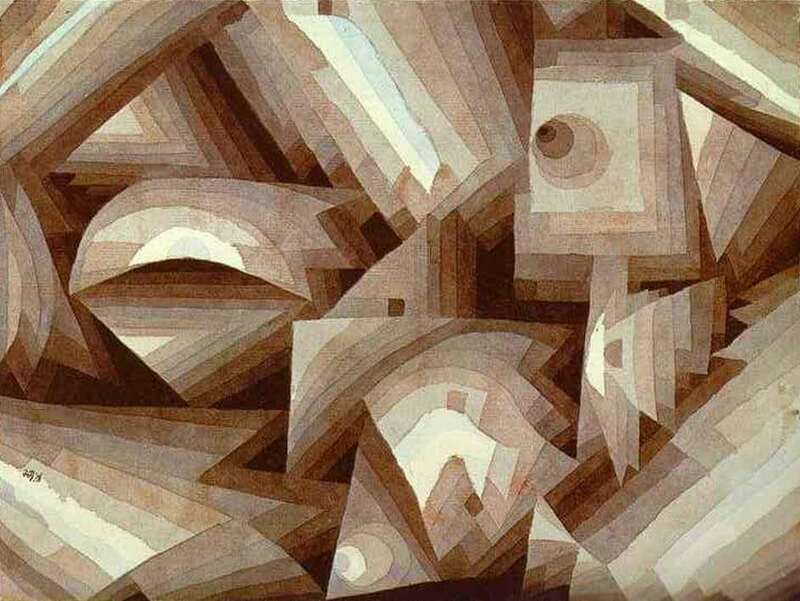 He looked again at what he had painted and allowed himself to be guided by it until there was an almost unconscious creation of new elements; it was absolutely essential here for him to not look for any contextual content. 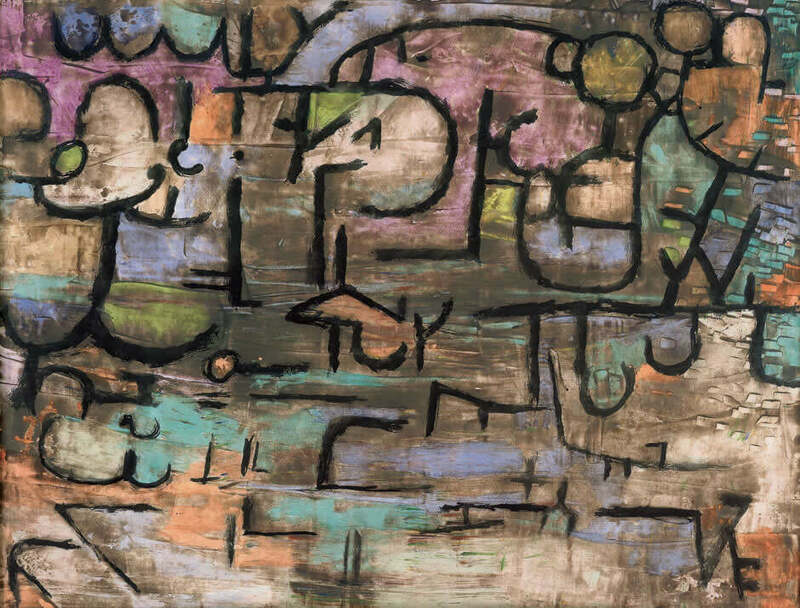 Klee spent a lot of time on this process of creation, and eventually a unique pile of forms, colors and surfaces emerged. 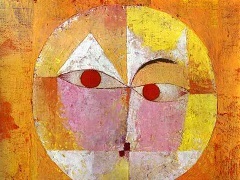 This painting is very balanced; there is not one rectangle too much or one circle too little, and there is a perfect interdependence between all the different parts. The relationships that are at play between the isolated elements come into the foreground. The painting comes alive.